We appreciate your interest in employment opportunities at McWane Science Center! Our open positions are listed below. If you see an opportunity you would like to pursue, please send in a resume. All contact information follows. 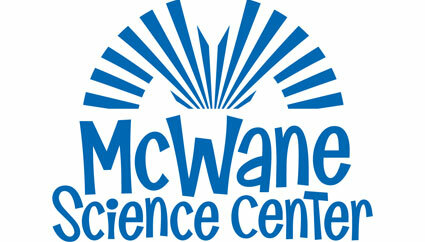 McWane Science Center also offers Volunteer and Docent opportunities. Please click here to learn more! Due to the large volume of resumes received, we are unable to return telephone calls from candidates inquiring about the status of their resume. Employment offers are contingent upon the acceptable results of various background checks. McWane Science Center will provide the Social Security Administration and, if necessary, the Department of Homeland Security, with information from each new employee’s Form I-9 to confirm work authorization via E-Verify. McWane Science Center is an Equal Opportunity Employer. 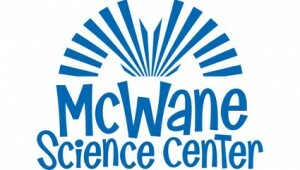 McWane Science Center counts on the Manager of Internal and Private Events to effectively oversee the organization, planning and execution of private events including, but not limited to; private events and internal McWane Science Center functions. The Manager of Internal and Private Events will consistently provide leadership and continuity within the Events Department and will act as a liaison between clients and key departments while working directly with the Vice President of Operations and the staff within the Events Department to ensure cohesiveness, clear communication and logistical planning. McWane Science Center counts on the part-time Education Specialist to engage visitors on-site and through Outreach in programs, classes, demonstrations, and activities in an enthusiastic, accurate, and interactive manner. Additionally, the part-time Education Specialist develops and implements a variety of educational experiences including: reserved school programs, outreach programs, home school labs, summer/holiday camps, adult/teen program and special educational events/projects. This position is also responsible for assisting with the care of the animals in our educational animal collection which includes feeding, cleaning and animal handling. The Member Services Representative is an enthusiastic and knowledgeable first impression of McWane Science Center and is responsible for assisting members with checking-in, selling memberships and processing renewals at the Member Desk; providing accurate information about all exhibits, events, IMAX films and other activities in the center; and resolving any issues with a positive and polite attitude. Work days generally include a rotating combination of weekday and weekend mornings (for example: Saturday from 9:45AM to1:30PM and/or Sunday 11:45AM – 3:00PM and/or weekday mornings 8:45AM – 12PM). The Early Childhood Education Presenter is a highly visible team member stationed within Itty Bitty Magic City (IBMC) who greets visitors in a friendly and outgoing manner, keeps the entire area clean and safe at all times, presents programming, models play behavior at exhibits, and encourages parents to engage with their children. This position will rotate throughout the day between cleaning and restaging, greeting and security and program presentations. McWane Science Center counts on the Reservations Specialist to be an enthusiastic and knowledgeable first impression of McWane Science Center by assisting guests, including group leaders, in planning their visits by providing accurate information about all exhibits, events, IMAX films, memberships and other activities in the center. The part-time IMAX Associate is responsible for all aspects of operation and visitor service within McWane Science Center’s concessions area with cross-training in Theater Host (and seasonal holiday and summer) responsibilities in order to support the daily operations of the IMAX Theater department. Responsible for assisting with the organization and implementation of the Birthday Party Program at McWane Science Center as well as offering support for other special events, including but not limited to, Overnight Adventures. The Birthday Specialist is responsible for providing excellent customer service to all guests and supporting the operations of the Special Events department through the organization and distribution of all program materials, leading various activities and programs, and working directly with the Director of Special Events to ensure cohesiveness, productivity, and thorough communication within the organization. McWane Science Center counts on the Smart Café Quick Service team member to support the daily operations of the café and related special events by assisting with the preparation, presentation, sales and cleanliness of the department while providing excellent customer service. McWane Science Center counts on the Summer Outreach Presenter to present McWane Science Center’s reserved programs/demonstrations across the state of Alabama. This position requires the ability to travel to different locations across the state to provide high-quality educational presentations to audiences at libraries, schools and other venues. Summer Educators are responsible for presenting and demonstrating inquiry-based science programs to campers during summer months. Duties include taking the lead role in the instruction of summer camps for ages 4K – 7th grade by developing and providing appropriate grade level programming, classroom management and instruction. Other responsibilities will include assisting with before/after care and lunch supervision, taking shifts at the High Cycle and at the Shark and Ray Touch Tank as well as assisting on the floor with informal public presentations, demonstrations and exhibit interpretation. Summer Educators may also be trained and scheduled to present Outreaches throughout the state on the weeks they are not teaching camps.